Look Away, Bernie Voters. 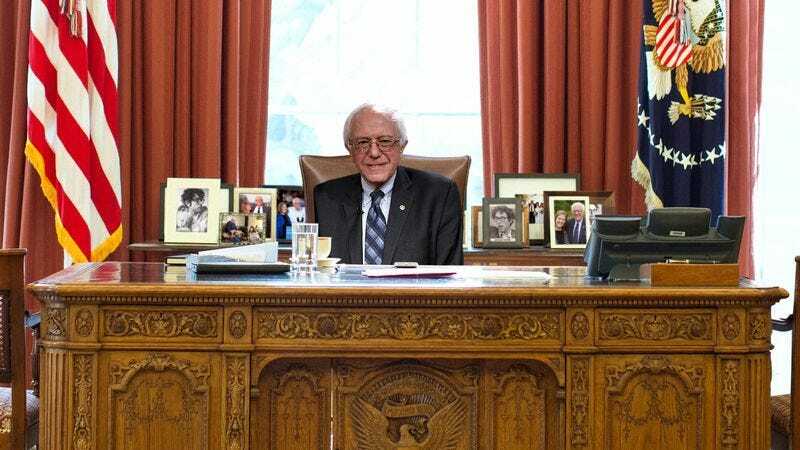 These Photoshops Of Bernie Sanders In The White House Will Be Too Painful. No, don’t look at these. Don’t do it. Seeing President Sanders will only give you grief. 1. If you voted for Bernie, please, click out of this list now. There is no need to do this to yourself. 2. Trust us, you don’t want to see Sanders announcing his student loan forgiveness program. 3. In this one, Bernie has invited Ta-Nehisi Coates to the White House and he’s wearing a Black Lives Matter T-shirt. Bernie supporters, we can’t imagine what you’re feeling right now seeing these Photoshops. 4. Here is Bernie Sanders giving his State of the Union address with his VP, Elizabeth Warren. We warned you. We told you this would be hard to see. 5. Bernie voters, why did you view this list? There was no need to suffer. You should never have witnessed these.